Sonography uses high-frequency sound waves (ultrasound) to provide crucial medical insights. 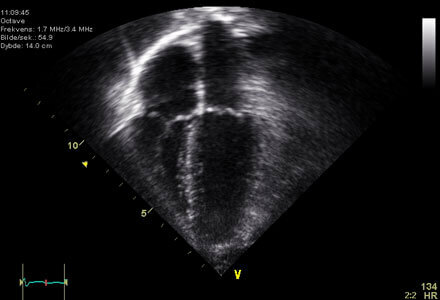 Cardiovascular sonographers specialize in the action of the heart (echocardiography). Sonographers operate ultrasound equipment to produce and record images of the motion, shape, and composition of blood, linings, and organ tissues to look for anomalies such as masses or fluid accumulations. They observe and care for patients throughout examinations to ensure their safety and comfort, then they provide sonogram images and oral or written summary of technical findings to physicians for use in a medical diagnosis.